Limited Edition Steelbook.Imported item, backing card will contain some foreign text. Backing card is removable.Language(s): English DTS X / French, German, Italian 5.1 DTS. |Hard of Hearing Subtitles: English|Subtitles: Dutch, French, German, Italian|.Extras: Commentary: David Leitch (Director)|Documentaries: ‘Anatomy of a Fight Scene’, ‘Blondes Have More Gun’. 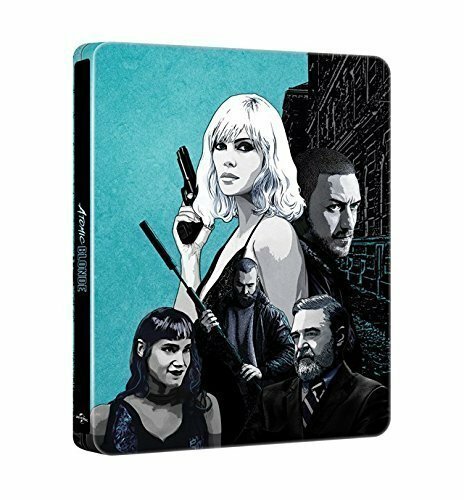 Region Free Blu Ray.